"The products have great features"
Free checking means free, direct deposit is in my account at least a day ahead of all others, and the people on the phones are extremely helpful, very professional and very knowledgeable. A very refreshingly pleasant experience. With Plus benefits, you receive all the Member benefits of Free Checking and Dividend Checking and . . .
How Do I Qualify for Plus Benefits? You'll automatically receive these benefits when you maintain direct deposit1 of your net pay, Social Security, or pension into your DCU Checking Account. With Relationship benefits, you receive all the Plus and Member benefits and . . .
How Do I Qualify for Relationship Benefits? You'll automatically receive these benefits when you maintain direct deposit1 of your net pay, Social Security, or pension into your DCU Checking Account and make at least five payments per month. Payments include credit and debit card transactions, bill payments, balance transfers, and P2P payments. When you qualify for Plus or Relationship benefits, your account name stays Free Checking in Online Banking and on your statement. You can view your current benefits level on your Online Banking Account Manager homepage, or ask us in any branch, by email, or phone. 1 The direct deposit requirement is waived on Plus benefits for members under 23. 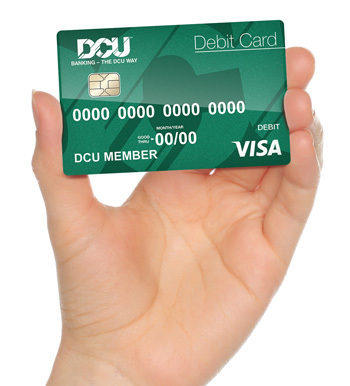 Please refer to DCU's Truth-in-Savings Disclosure and Account Agreements, Schedule of Fees and Service Charges, and Electronic Services Disclosure and Agreements.